2019 Apr 18: No further alerts. 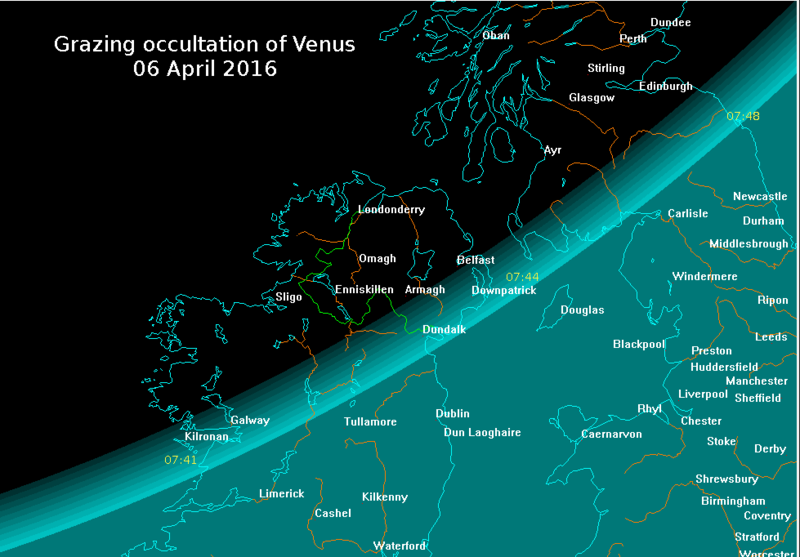 2016 Mar 29 Lunar occultation of Venus during daylight on April 06. This will be a graze for part of the northern UK and Eire. 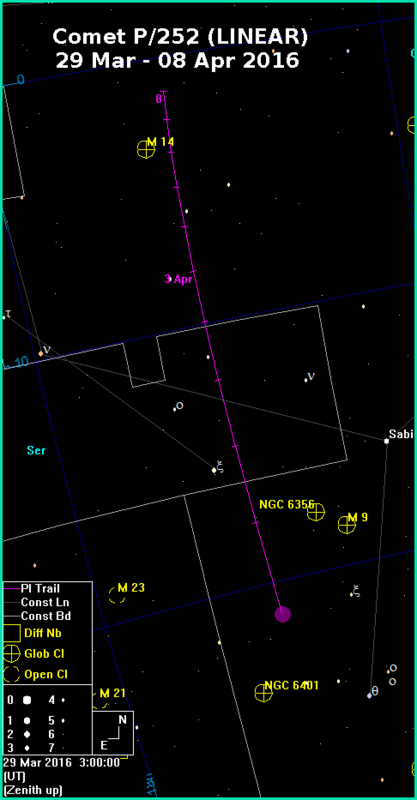 2016 Mar 28 Comet P/252 (LINEAR) has brightened to over 100x what was expected and is a binocular object in the dawn sky, but is fading rapidly. The positions on the chart are for midnight.